“In the summer following my freshman year, I studied abroad in Paris, France, at the Catholic University of Paris. I spent 10 incredible weeks studying French with International Studies Abroad (ISA). Honing my linguistic skills really gave me an advantage in the day-to-day life in France and made the experience so much more authentic. 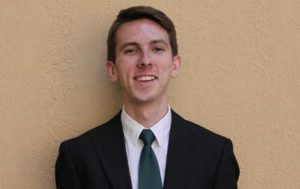 Now back in the United States as a new Global Roadrunner, I look forward to promoting the study abroad experience and encouraging future students to go abroad because it is an experience that you will never forget!” – Mark Florczynski ’16 majored in Information Systems with a minor in International Business.